Scots language denier Stephen “It’s slang, people” Daisley is at it again, prompting the blog response below. Wouldn’t it be nice if an open unionist actually supported language diversity and dignity for a change? Ye ken, just to show us that British nationalism is not opposed to all expressions of Scottish culture. Freelance “journalist” (I use the term lightly) Stephen Daisley has cam unner attack for haeing the temerity tae post a Tweet, trying tae claim that contemporary Scots isnae a language in it’s ain richt. 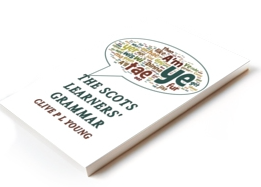 On the ither haun mibbie Daisley’s seyin we shud yaise Scots mair, an in mair formal contexts. It’s a caw tae airms tae reclaim the wark and the baunks fae the pan loafers an anti-Scots bigots.